Desk. Wood, metal. 19th century. Being an Ursuline Pupil In the era of New France, students were instructed in French, basic mathematics, home economics and catechism. After the conquest, additional subjects were added to the curriculum, including science, writing and music. 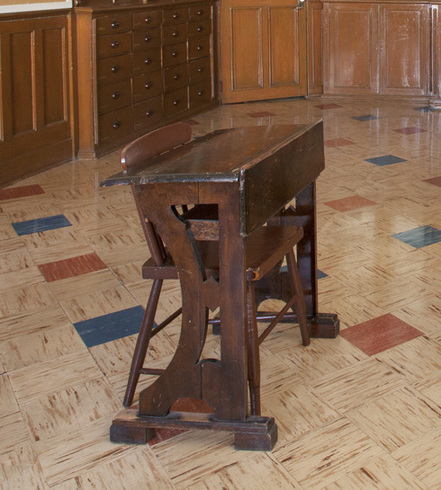 Classes were dispensed in French and English, and students were encouraged to complete their assignments in their second language.This classroom dates back to 1870. Our school still exists but the premises have changed. We’re now a modern school but some areas, like this classroom, remain unused. They are witnesses to the flourishing days of the boarding school.